Australia gives honours to recognise, celebrate and say thank you to those who make a difference, those who achieve their best and those who serve others. “Service Above Self” is second nature to Rotarians. But we all know fellow members who go “above and beyond” in service to their community – and indeed our nation. They seek no reward beyond mere satisfaction that they have made a difference in the lives of individuals or society in general. 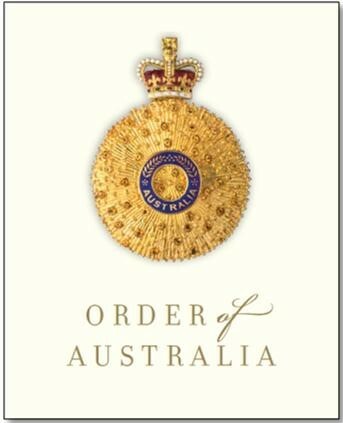 While many Rotarians have also been honoured by our Nation through the Order of Australia, certainly there are others well deserving of recognition. The aim of the Rotary Australian Honours Advisory Panel is to encourage Rotarians to recognise and nominate eligible Rotarians – and others in their communities – for recognition within the Order of Australia Honours awards. Rotarians being recognised and honoured by the Nation should assist in raising Rotary’s community profile and membership base.